Mario Prats Garcia is the newest WSOP gold bracelet winner after taking down Event #45: Big Blind Antes $1,000 No-Limit Hold'em (30 minute levels). 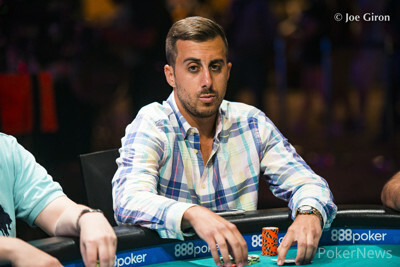 Prats Garcia ended up at the top after only 87 hands at the final table. Day 2 lasted less than seven hours in total. The Spanish bracelet winner had a second-place finish at last year's WSOP and upped it this year by taking down a bracelet. When asked how he felt about winning the tournament, he said the following: "Super excited, I'm super happy. I thought I could never get back here and the FT was hard. I sucked out a couple of guys and I got all the chips! I'm super excited and nervous." In regard to his second-place finish last year: "I just tried to stay confident and positive. Any result that would come, that would be good for me. If I played good and that is what happened." The entire tournament took place over just two days over at the Rio All-Suite Hotel & Casino. 1,712 hopefuls registered the tournament with the dream of becoming a World Series of Poker champion. 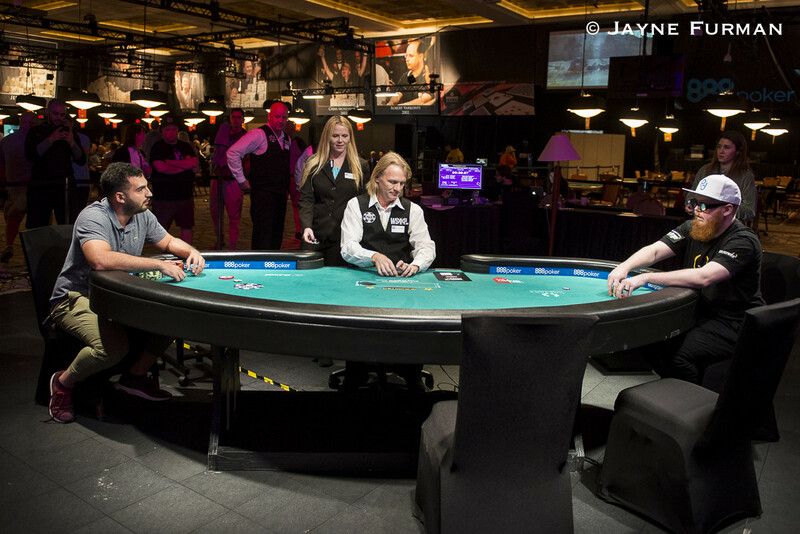 41 players started Day 2 of the tournament and the final table was reached within just four hours of play. Some of the players who did make it to Day 2, but couldn't make it to the final table include Justin Oliver (37th - $5,376), Manig Loeser (33rd - $6,505), Conor Beresford (32nd - $6,505), Esther Taylor (21st - $7,967), Joseph Cheong (19th - $7,967), Kathy Liebert (18th - $9,877), and Athanasios Polychronopoulos (11th - $15,730). It took 14 hands to get the first elimination once the official final table was reached. Lander Lijo was the first to exit the final table after he got his ace-deuce in the middle against the ace-queen of Michael Wang. Wang had established a big chip lead at this point and got an even stronger position once he sent Lijo to the rail. Martin Staszko was the next player to exit the tournament. He pushed all in while he was holding king-queen on the turn for king-high and Mario Prats Garcia snap-called with top set. Staszko got his money in the middle while he was drawing dead. 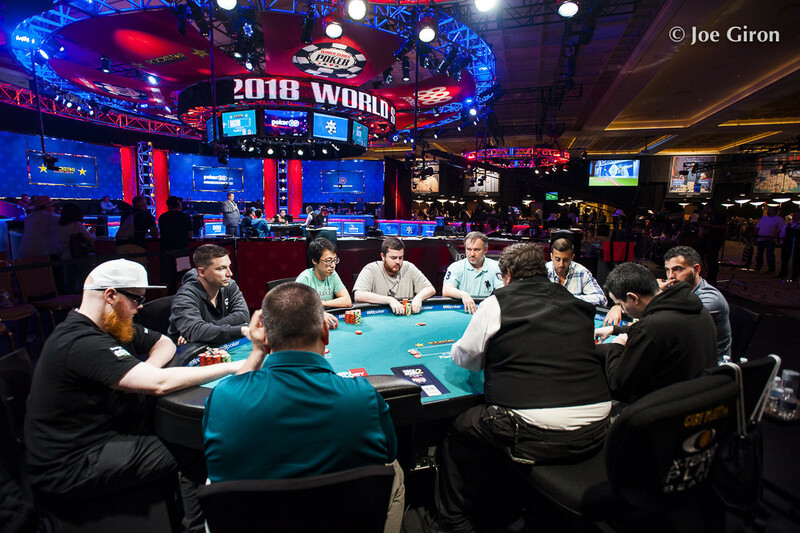 That was the first moment Prats Garcia got into the lead at the final table and he managed to stay at the top throughout almost the entire final table. It only took six more hands to lose DJ MacKinnon from the final table in seventh place. MacKinnon was in rough shape when he got his king-seven all in against the pair of sevens of Matthew Hunt. 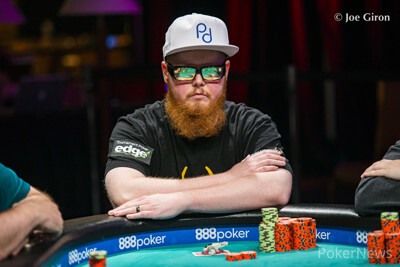 MacKinnon didn't manage to beat his record finish in a WSOP event. He got fifth in 2013 in a $1,000 No-Limit Hold'em event and this time he wasn't able to close the tournament out either. Six-handed play went on for a while and players didn't seem to want to risk it all. The average chip stack eventually dropped below the 14 big blinds mark and that was the point where the tournament finished within minutes. Gregory Worner got a bad beat when he lost all his chips with ace-seven against ace-deuce. The dealer spread out the flop and it had a deuce in there. Worner wasn't able to catch up and all of his chips went to Prats Garcia. Two hands later, Prats Garcia sent another player to the rail. This time his victim was Mark Schluter, who had been grinding a short stack all final table. Schluter had to settle for fifth place. Prats Garcia was holding ace-ten and just had to fade an eight against the ten-eight of Schluter. Prats Garcia won more chips and that propelled him into the chip lead and a commanding position at the table. 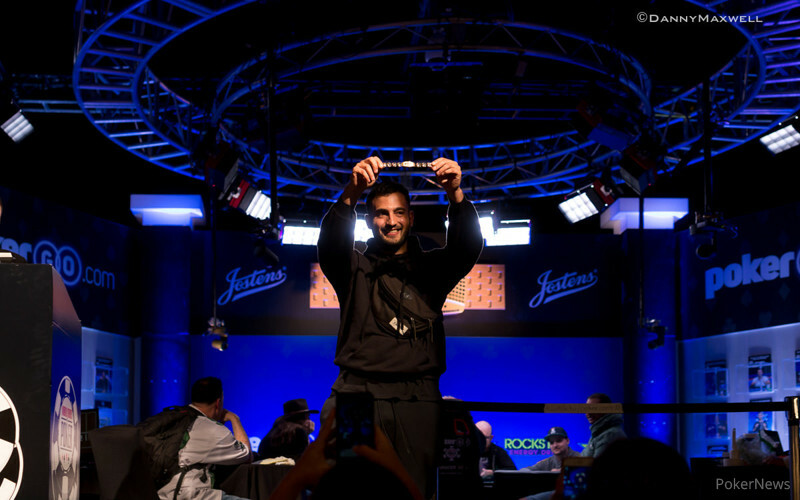 Prats Garcia made even more use of his chips when he sent Wang to the rail in fourth place. At that point, Prats Garcia had more than 50% of all the chips in play in front of him. Prats Garcia had ace-king suited and won against the pair of treys of Wang. 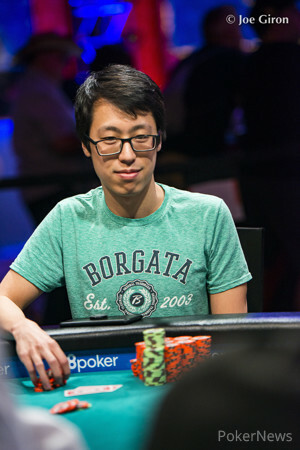 Wang had a big chip lead at one point of the final table, but after the king on the flop, Wang had to leave the tournament just shy of a podium finish. 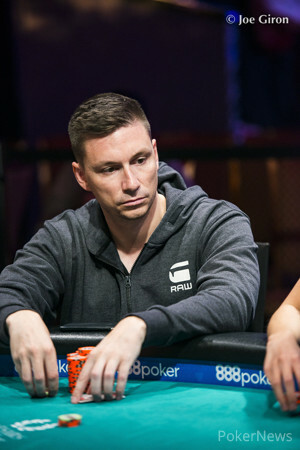 Sebastian Dornbracht ended up in third place after running into the same big stack bully as the other players at the table. Dornbracht found a dream spot where Prats Garcia pushed all in and he woke up with kings. He had to hold against the ace-four of his opponent, but he wasn't up to the task after the dealer dealt a wheel to the Spanish chip leader. 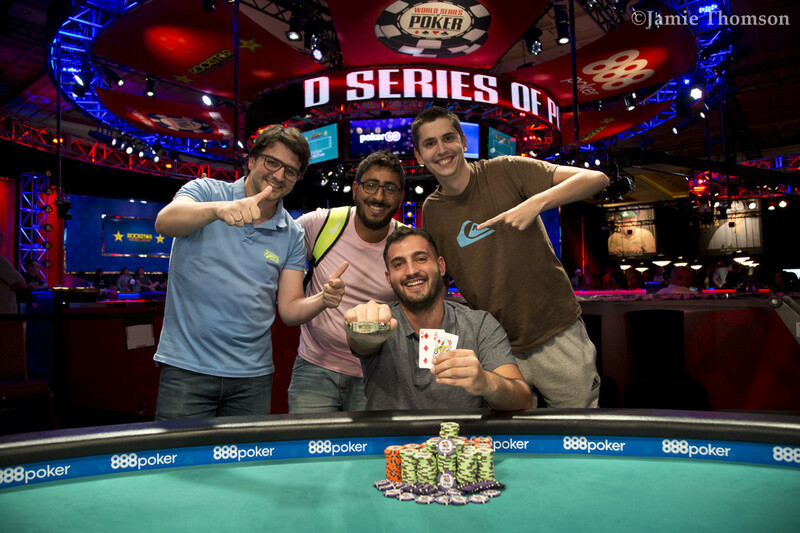 Dornbracht was eliminated in third place and Prats Garcia had a huge chip lead going into the heads-up play. The heads-up battle only took three hands. Matthew Hunt raised and won the pot in the first one, he doubled up in the second one, but he lost the tournament after hitting a straight on the river with ten-six on the five-four-seven-nine-eight board while Prats Garcia had a flush with queen-six of diamonds. 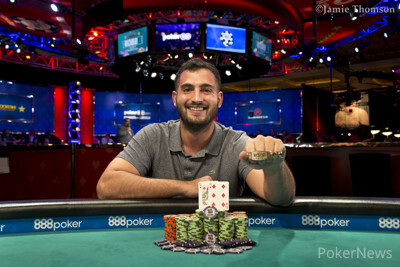 Prats Garcia won the fourth Big Blind Ante tournament at the WSOP, which also happens to be a 30-minute levels tournament. When asked about the structure, he said: "I love it, I would like to see all events with Big Blind Antes. It's easier and faster, I love it. I think the structure is an advantage for online players. I think a lot of recreational players haven't studied the shove and call ranges for short stacks and as we play a lot of turbos online, we have studied it a bit more so we have a bit more of an edge I think." Prats Garcia's bracelet ceremony is scheduled to take place tomorrow, Sunday, June 24, during the first break of Event #48B: $1,500 No-Limit Hold'em MONSTER STACK which he is planning to play too. The PokerNews live reporting team will be here to provide you with all the updates from the floor from start till end of every tournament here at the WSOP. Hand #87: Matthew Hunt limped in the small blind. Mario Prats Garcia checked. A flop of was dealt. Garcia checked. Hunt bet 130,000. Garcia check-called. Hand #86: Mario Prats Garcia moved all in in the small blind. Matthew Hunt, in the big blind, quickly called, putting at risk his last 1,600,000. The board ran and Hunt doubled up. Hand #85: Matthew Hunt raised from the big blind and Mario Prats Garcia folded. Hand #84: Mario Prats Garcia moved all in on his two opponents and Sebastian Dornbracht found an exceptionally good hand to call with. Dornbracht had and was well ahead of Prast Garcia his . The flop was and Prats Garcia's rail started to shout for a deuce to come down. The turn was the and Prats Garcia hit his gutshot to have the best hand and the came down to complete the board. Dornbracht was eliminated in third place. Hand #83: Michael Wang shoved all in from the button for about 1,150,000 and Mario Prats Garcia called in the small blind. The board ran out to give Prats Garcia a pair of kings on the flop to eliminate Wang in fourth place for $61,580. Hand #77: Mario Prats Garcia raised to 200,000 under the gun. Everyone folded. Hand #78: Matthew Hunt limped on the cutoff. Michael Wang, in the small blind, limped as well. Garcia, in the big blind, shoved for 2,900,000. Hunt and Wang gave up their hands. Hand #79: Garcia shoved from the small blind for 3,200,000. Hunt folded. Hand #80: Wang raised to 250,000 under the gun. Garcia, on the button, moved all in for 3,400,000. Wang folded. Hand #81: Parcia raised to 200,000 under the gun. He got no action. Hand #82: Sebastian Dornbracht shoved on the button. Everyone folded. Hand #76: Mark Schluter pushed all in and Mario Prats Garcia did the same thing after asking how much Sebastian Dornbracht was still playing. Schluter had some catching up to do after he saw his had to win from Prats Garcia's . The flop was and Schluter was behind even more. He couldn't win anymore on the turn and the river was a courtesy. Schluter was eliminated in fifth place.